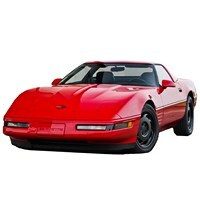 Corvette Mods offers a huge selection of parts for the C4 Corvette that span model years 1984-1996. We stock both interior and exterior C4 Corvette parts along with engine components, exhaust parts, and replacement wheels. We also offer a full line of accessories and cleaning supplies to keep your vehicle looking its absolute best. The new C4 Corvette was so important that Chevrolet stopped producing its flagship car for a whole model year in 1983 in order to focus on the new model's development. The delay was worth it. The C4 Corvette, introduced for the 1984 model year, was a revolution in design and technology that was regarded then as the best Corvette yet. The C4 Corvette built on traditional ideas and added new technology to become a faster, more advanced, better-handling, and more reliable car. 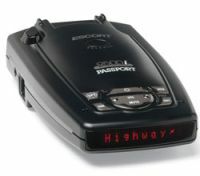 It had a digital dash, overdrive transmission, and a whole new unibody structure with a focus on cornering. Throughout its 13-year production run, the C4 Corvette just got better. The convertible model returned for 1986. The Doug Nash 4+3 overdrive transmission was replaced with a high-tech ZF 6-speed manual transmission for 1989. The L83 V8 was replaced with a more advanced LT1 in 1992 that produced an additional 50 horsepower for the base model. In 1990, Chevrolet introduced the legendary ZR-1 with a dual-overhead-cam engine designed by Lotus and produced by Mercury Marine. It was a 405-horsepower monster, and thanks to the C4 Corvette's focus on handling, it was able to compete in more than just a straight line. As a final bow, Chevrolet introduced the Grand Sport model for 1996, complete with taut, sporty suspension and the 330-horsepower LT4 V-8. At Corvette Mods, we aim to satisfy your every need for Corvette C4 parts and accessories whichever model you own. Do you need engine parts for your 1984-1996 Corvette? We have them! Check out our complete stock of C4 Corvette parts to find what you need to keep your engine performing at its best. We carry 1984 Corvette radiators, alternators, power steering pumps, transmission coolers, and many other parts that match or out-perform OEM components. 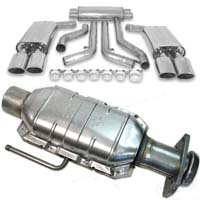 Upgrade the look of your engine compartment with chrome-plated dress-up parts or upgrade its power with high-performance parts. Consult a C4 Corvette parts diagram to see what you need. 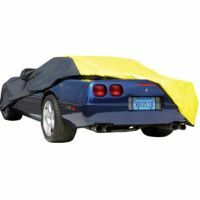 Whether you are searching for interior or exterior parts for the 1984-1996 C4 Corvette, Corvette Mods has what you need. 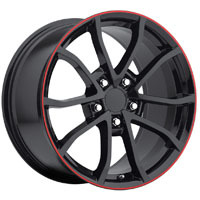 We stock a complete line of parts and accessories to protect and enhance both the inside and outside of your vehicle. Our inventory of Corvette exterior parts includes brakes, shocks, sway bars, lighting, and even replacement body panels. The inside of your car will look and feel amazing with new seats, door panels, consoles, and steering wheels. Customize your Corvette with a new shift boot or add a new set of floor mats. You want your Vette to look its best as long as you own it. 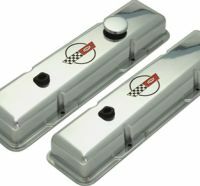 Corvette C4 car care products will restore and protect your vehicle. Order car covers, wet/dry vacuums, polishing kits, interior care kits, battery protection mats, and other maintenance accessories. We have premium car ramps and blocks for working on or storing your C4 Corvette. You can upgrade it for the 21st century as well with dash cams, power inverters, and portable air compressors. 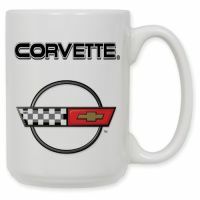 How about a gift for the Corvette owner or enthusiast in your life? Corvette Mods carries a wide range of gifts including personal items such as wallets and golf bags that feature the C4 Corvette or GM logo. We also carry items for the home like wall calendars and counter stools. 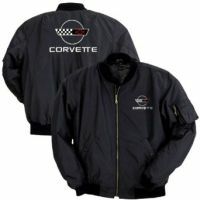 Check out our full line of apparel, including jackets, caps, and shirts that come in many sizes, styles, and colors. If you can't decide exactly what to get them, Corvette Mods gift cards start at just $10 - and you can purchase them using Mods Reward points! Contact us Monday-Friday or pay a visit to our Fort Worth, TX headquarters for expert advice from fellow Corvette enthusiasts.